As we previously noted, marketing technology funding has remained stable over the past few years. Digging in deeper at the martech category level reveals that the Marketing Platforms category leads both in Q3 and overall funding. 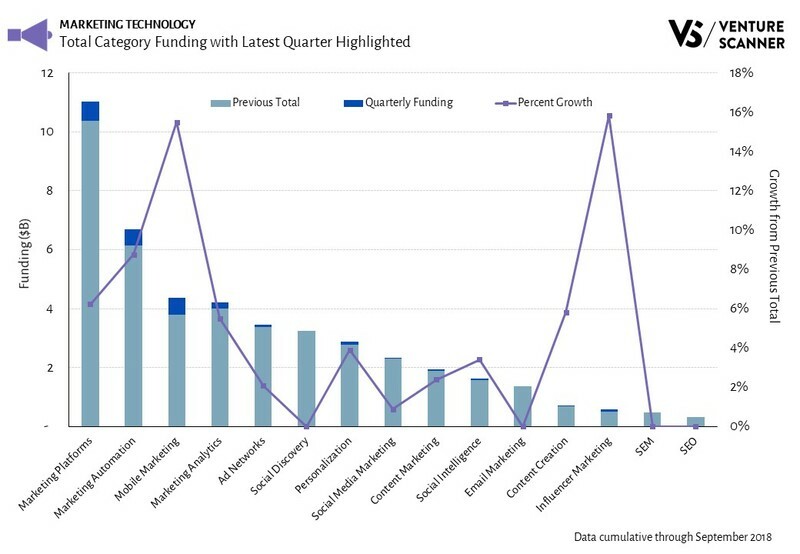 To start off, let’s review the amount of funding raised this quarter by each category within marketing technology. The above graphic highlights that the Marketing Platforms category leads the sector in Q3 funding with $650M. The Mobile Marketing category follows in a close second place with almost $600M in Q3 funding. 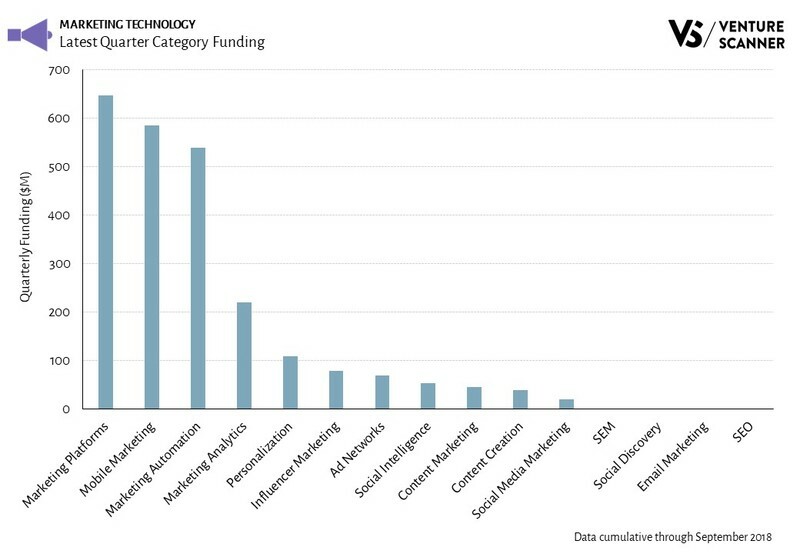 The graph below shows the all-time funding for different marketing technology categories. The Q3 funding and growth rates of these categories are also highlighted. As the bar graph indicates, the Marketing Platforms category also leads marketing technology in total funding at $11B. This is more than 1.6 times the funding of the next category, Marketing Automation at $6.7B. In summary, the Marketing Platforms category is the clear funding leader both in Q3 and all-time. Let's see how the the rest of 2018 shapes up for marketing technology!